A person who are learned in Buddhadhamma will always be humble and peaceful as Buddha says. In fact even the person who studies in secular colleges or universities, as they get higher in studies, the more humble they started to be. Will never be arrogant, as saying goes “Arrogant are like a iron ball, no matter how much you try to pour water on it, it went get filled” in the same way no matter how much or the put the world knowledge to him, arrogant person will never accept it . Person who are well educated(buddhadhamma) don’t have much crazed on external things. 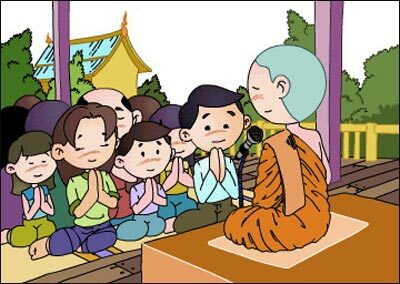 A person who sit meditation alot will have less kleshas, as Buddha says.